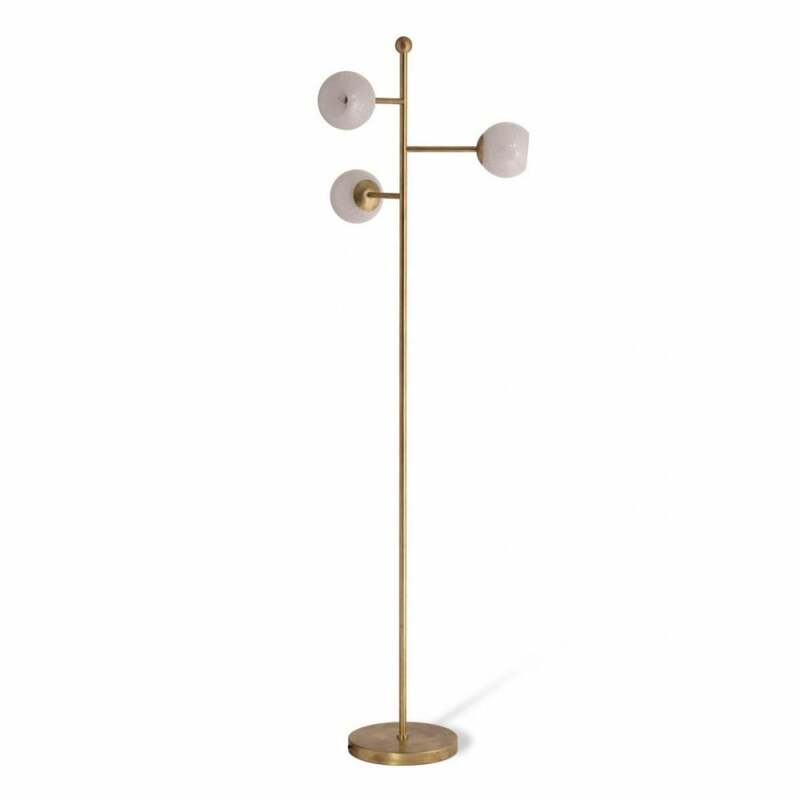 A must-have piece for any mid century modern design lover, the Orbit Floor Lamp from Porta Romana features an elegant base that combines striking metal with delicate hand-blown glass. With a nod to retro styling, this well-proportioned light utilises the patinated texture of brass to bring a touch of luxury to the design. The milk glass shades emit a beautiful atmospheric glow creating a subtle finish that will highlight any area of a room. Position next to an armchair to create a cosy yet stylish reading nook or place in a hallway to create a statement entrance. Available in Bight Brass or Bright Steel with Milk or Shadow Glass shades. Get in touch with our team to discuss custom options.